Working with pure silver, the colour of the moon, which is a joy to work. 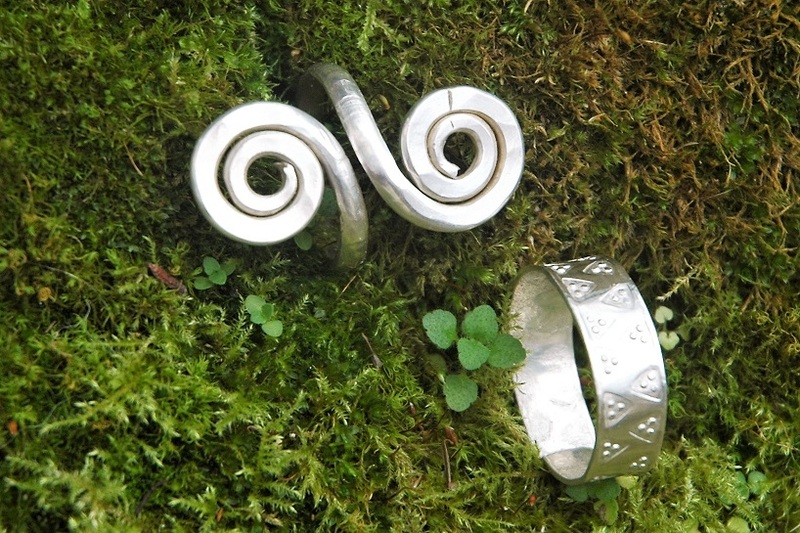 In this workshop you will make two rings and explore different techniques used from ancient times. We will make one spiralled ring and one from the Viking age with punch decoration. Using hammering, twisting and soldering you should be able use these skills later on other projects. Tutor Neil Burrage.